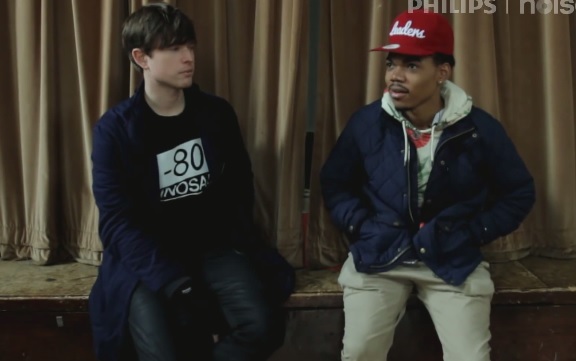 Noisey catches up with singer James Blake for an exclusive behind-the-scenes look at the making of his new music video for “Life Round Here (Remix)” featuring Chance The Rapper. Take a look as Blake shares specifics on how the collaboration came together with Chicago artist and shares how he was impressed by Chance’s singing abilities. Directed by Nabil, viewers also get a sneek peek of the Hertfordshire, England scenery the visual happens to take place in. This entry was posted in Miscallenous, Video and tagged behind the scenes, BTS, chance the rapper, hip hop, james blake, life round here, Music Video, rap, Remix. Bookmark the permalink.